Taxation is the main part of earning for various government expenditures. 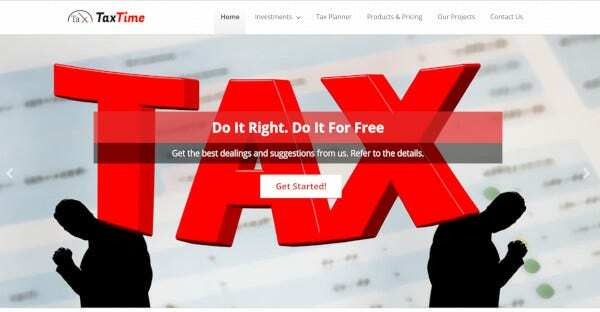 So it is now needed that everyone must pay the tax but all search for a good tax advisor website by which they can minimize the tax and that too within the law. So there are many WordPress websites which help in making the website relating to a tax advisor. 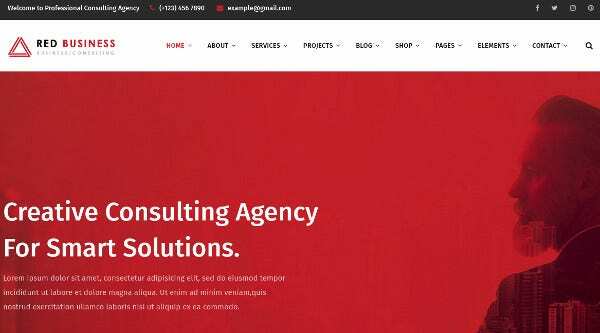 With the help of this Responsive WordPress theme, it is said that it helps the companies to build their websites at ease. The design of this theme is very eye catchy. The theme has got all types of advanced features as well as it is user-friendly. The theme is given as per GPL 3 license. 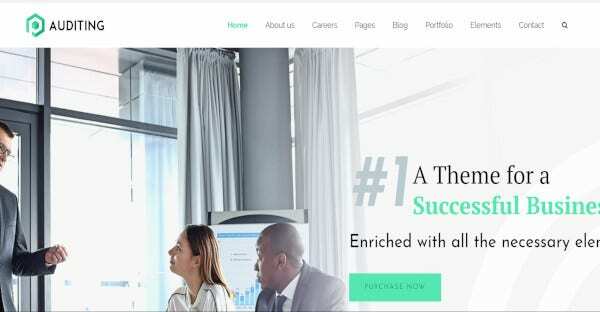 This well documented and responsive theme is best for finance advisor, audit, analytical, broker, brokerage, business consulting, financial companies. 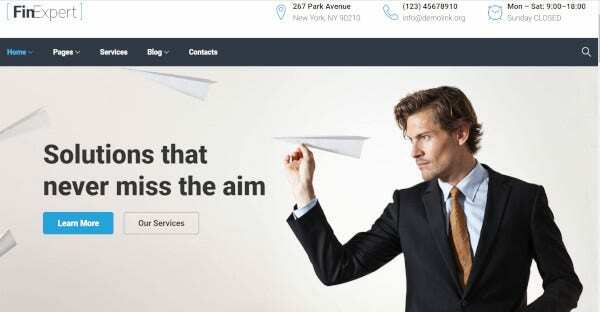 It has outstanding features like 06 Home Page, varied header, drag & drop Page Builder, 40+ inner pages, WordPress 4.8+, retina ready, organized codes etc,. The theme is built with WordPress 4.9+ version, awesome slider, browser compatibility, custom templates and its completely responsive. 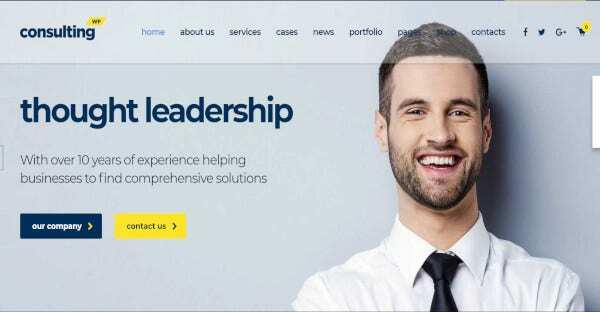 The theme is suitable for IT Officer, Resource Manager, Insurance Agent, Loan Provider, Banker, Finance Manager, etc. The theme will give you separate blog section, full width sliders, tap to call option, different language options, different layouts and many more features. 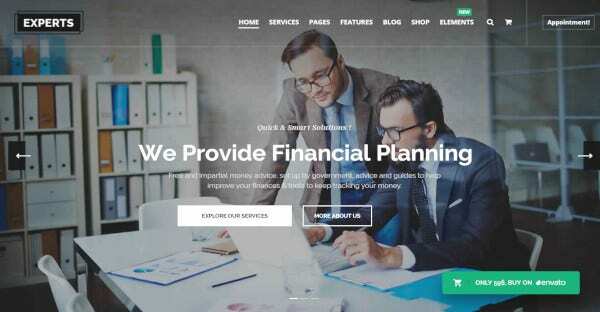 This Finance WP theme has got the inbuilt page builder. With the help of this theme, you can import the demo data. You can get all the detailed documentation as well as a hassle-free installation process for this theme. You can have a good website for consultation by going for this. The theme is best for finance advisor, tax consultant, or any law company. It has modern and fresh designs like ready made modules, WooCommerce store, dozens shortcodes, WP bakery page builder, one click demo installation option, mobile design optimization, different layouts, visual composer, swiper slider, translation options, PO composer, extensive documentation and many more. When you go for this theme, it has got a responsive layout. 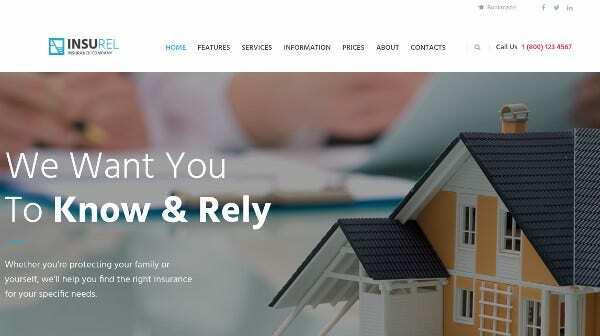 This theme is highly customizable with unlimited colors customization and this is an SEO friendly WP theme. The theme is said to be having W3C Valid HTML Code. 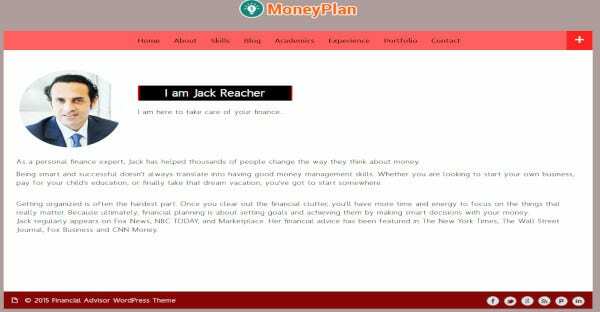 This theme is very easy to use and can help in making the website in an easy manner. 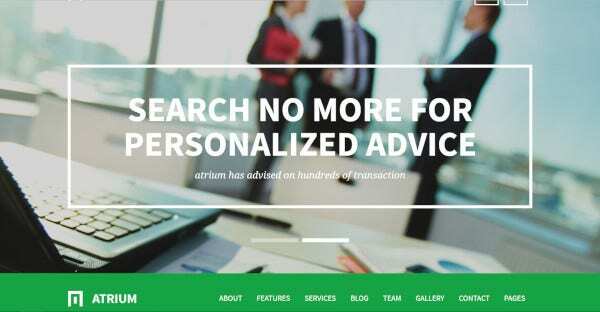 This WordPress theme is very responsive to corporate projects and financial advisors. This has got a huge range of color accents and it is mobile friendly. This has too got an inbuilt Theme Demo Data Installer with the help of this you can go for import of a complete set of the Theme Demo. In this theme, you will get the 7 header layouts and with the help of this, you can change the website appearance too. It has got multiple layouts along with customizable dynamic and static elements along with Drag and Drop Page builder. You can too go for the creation of some unique page layouts and can use in over 25 modules. This WordPress theme has got an extraordinary blog single page design. You can go for more ajax option for the portfolio. This theme is highly customizable and has got many customized colors as well as fonts of every kind of elements of this theme. This WordPress theme includes all types of features which is said to be used in promoting as well as running the business online. This has got the build with Codeless Builder and Codeless Framework. They too have got many good features for the sites and can help in building the websites easily. 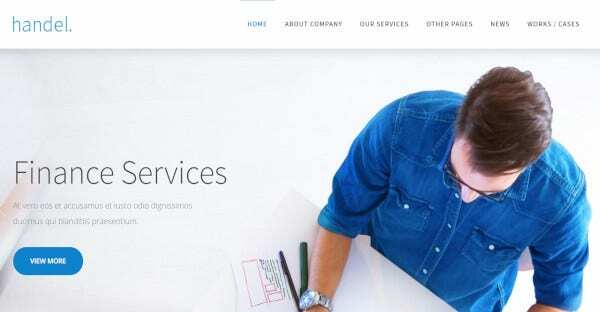 This theme offers a number of services for the websites. This helps in bringing the new ideas via offering various solutions and at the same time demonstrating about the work of the company. The theme is customizable when it comes to the edit and user-friendly and is a mobile responsive theme. It is a professional, stunning and flexible WPBakery Visual editor WordPress theme. This has got a good drag and drop page builder. The plugins that are used in this theme are of cherry plugins. This has got the multiple layouts for the website and it is highly customizable as per the need. 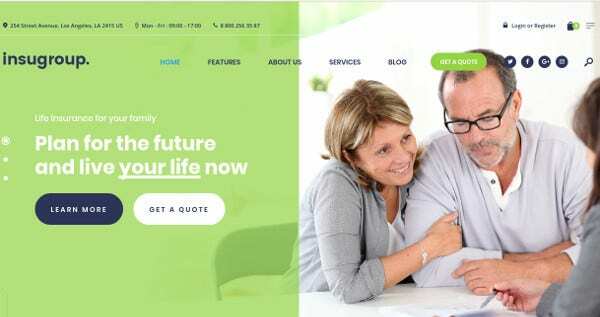 This theme is very much responsive as well as stylish and got flexible pages and has got the inbuilt control panel which makes the business sites look good without any programming. The template provides you with a very easy to use admin panel for you. It also has a WooCommerce plugin. The theme comes with visual composer, drag & drop options, 3 types of header and 2 types of footer style. 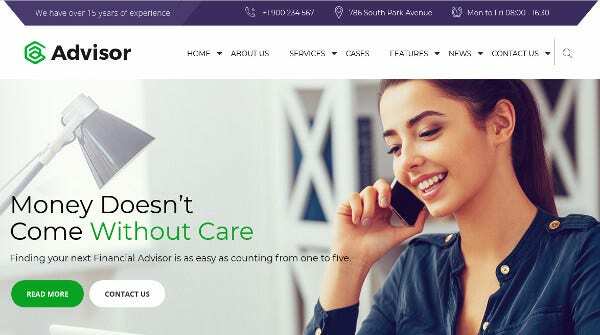 This responsive theme is translation ready and built for any Financial Advisor, Consulting Firms, Accountant, insurance, tax help, loan, Investment firm and any software firms. It has slider revolution, powerful theme styles, unlimited colors, customize logos and many more. 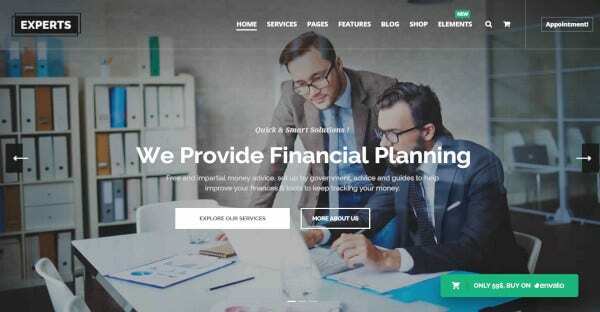 It is fully responsive finance consultant theme. This theme will provide you with some best designs and programming skills. It includes the top level settings for the sites. 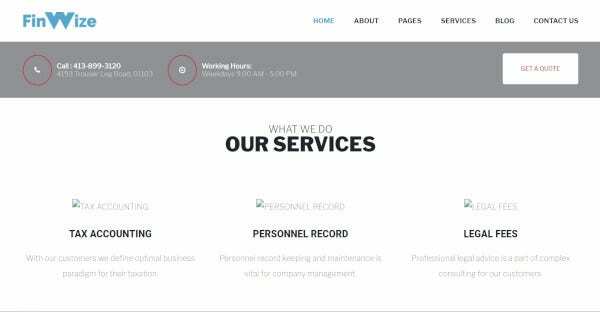 This template helps in organizing the web presence and helps you in getting more traffic to your sites. It has WordPress 5.0+ software version and compatible with WPBakery Page Builder and WooCommerce 3.4.x. This SEO friendly and responsive theme has 4 different home pages, different premade pages, outstanding blog & gallery layouts, revolution sliders, different parallax effects. Its easy to use option can adjust any theme as per client’s needs. The theme is best for tax specialist, tax auditors, & any online tax consultancies and finance consultants. The features that are given in these websites can easily adapt to the screen sizes of all forms. This template has got a number of various features for the websites. 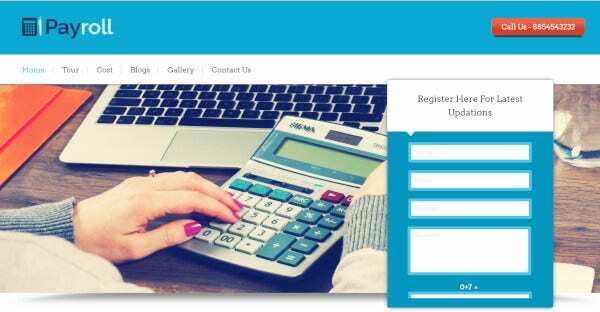 The theme is not only increasing tax adviser and tax services but it also helpful for your customers for tax accounts and refunds online. This theme has got the features which include exclusive inner pages, cross-browser compatibility, handcrafted elements, online store, performance optimization, and many other features. 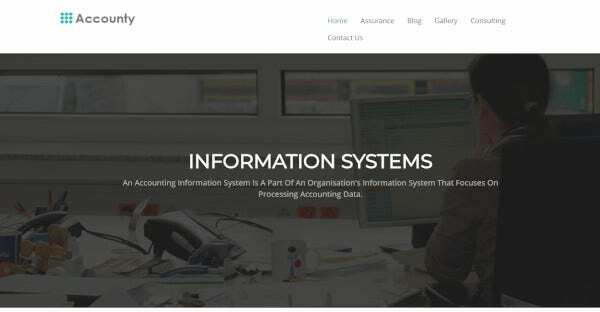 With the help of this theme, you can have the best website for the tax, accounting or any finance advisory. This theme has been built with a powerful drag and drops page builder. This has got more than 25 modules for your website. You can also go for the customization of the theme as they are highly customizable. The theme has amazing features for you like page builders, WPML plugin, master slider, blog style and many more. 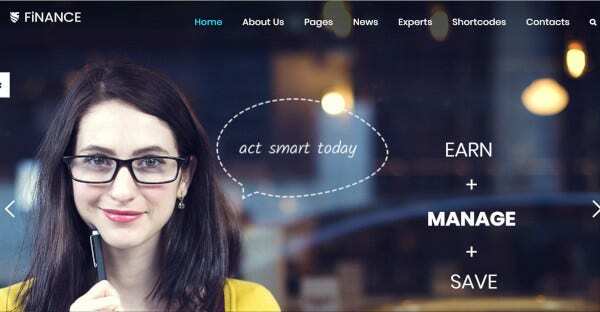 This responsive, powerful, versatile and seo-friendly wordpress theme is comes with WordPress 5.0+ version, drag and drop options for page builder, 3 home page layouts, different shortcodes, powerful admin interface. It has customizable Google map, super fontello icons, parallax effects of background, different language options and many more features. 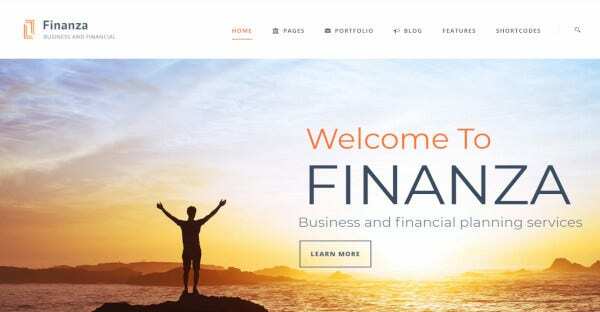 These are top 18 themes and templates from WordPress which you can use it for the tax advisor and financial consultant. 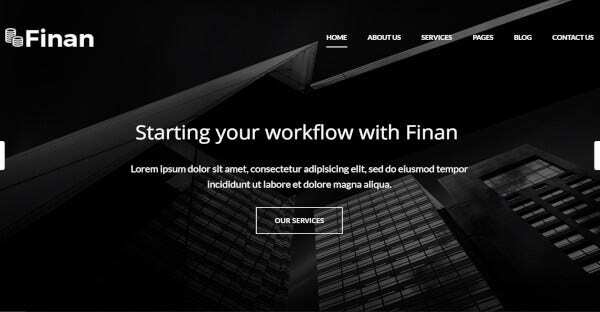 With the help of these themes and templates, you can make the website that suits the financial systems and for consultancy services. So go for them while going to build websites for financial advisory.